This necklace features a wire-wrapped Carnelian. 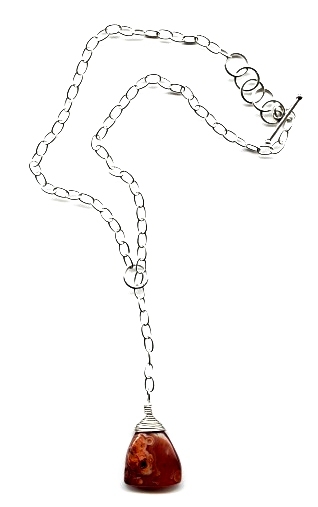 The stone is wire-wrapped then suspended on a silver chain to look as though it is a lariat. However there is a clasp at the back and the chain can be adjusted. See my Wirework Class to see the class these techniques are taught in.